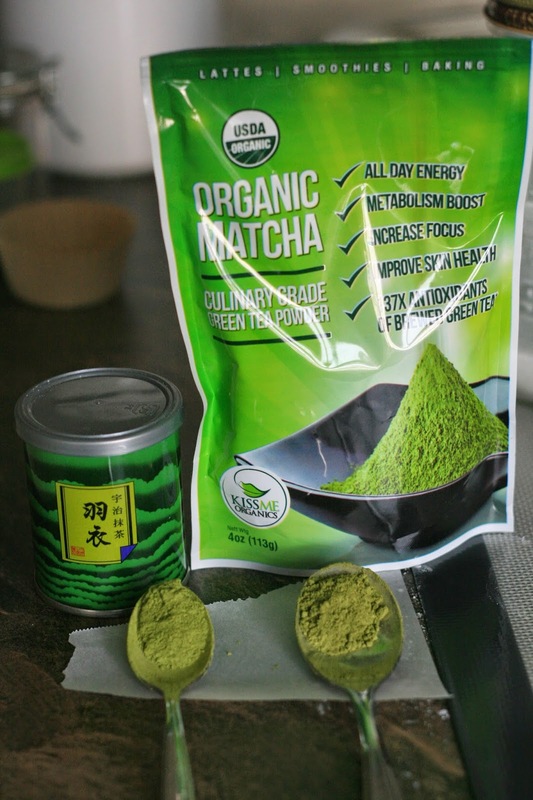 A few weeks ago I was contacted by KissMe Organics to try out their Organic Matcha. I agreed and decided to make a batch of Matcha Macarons for comparison. Up to this point in time, I have been using a Matcha (green tea) powder sourced from Japan. I was interested to see if there would be any difference in terms of the texture of the resulting buttercream, look and taste of each macaron. Looking closely at both matchas, the one sourced in Japan has a slightly darker colour in comparison to the one from KissMe Organics. 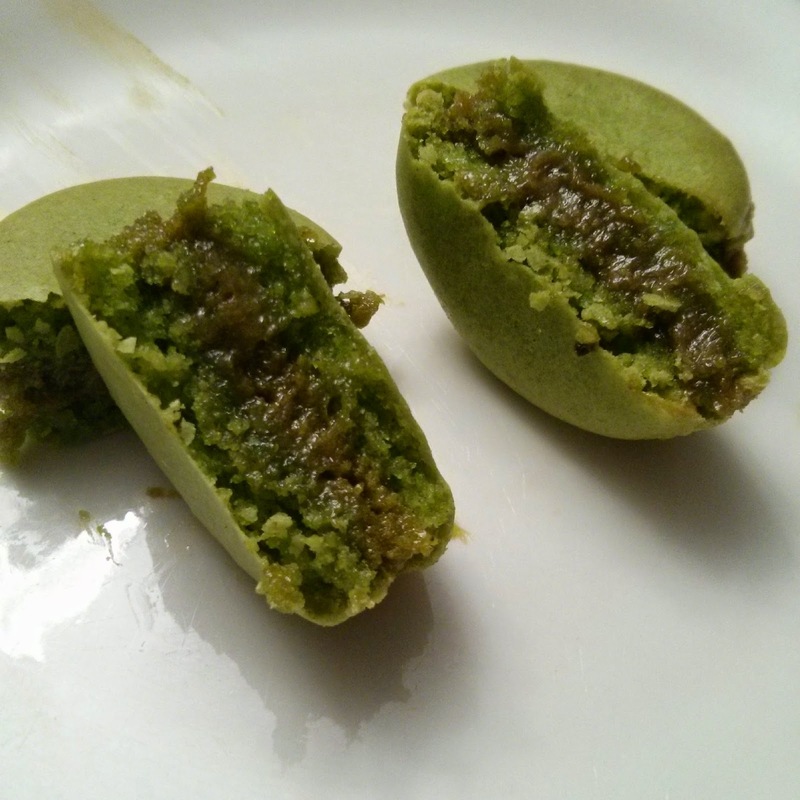 Texture and fineness of the both matcha powders seemed fairly similar. 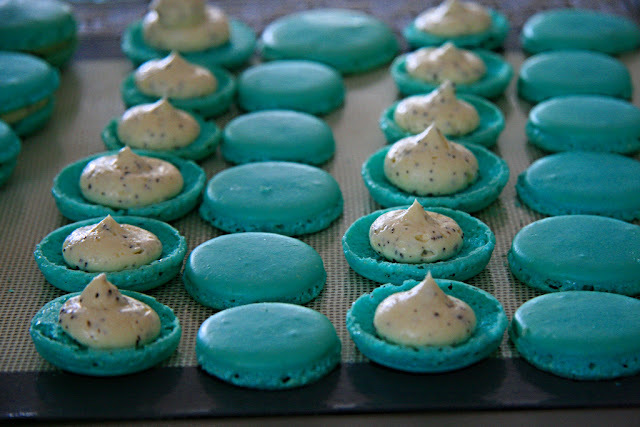 Once I finish making buttercreams for macarons, I fill the macaron shells right away. For the buttercream made with matcha sourced from Japan, there is slightly darker colour to the buttercream. On the other hand, the buttercream made from KissMe Organics took on a slightly brighter green colour. Visually, both macarons are very similar if we look only at the buttercreams. I must also note that for the matcha buttercream sourced from Japan macaron (on Right), had been previously frozen (then brought back to room temperature) so the buttercream may look slightly more stiff in comparison to the other one. 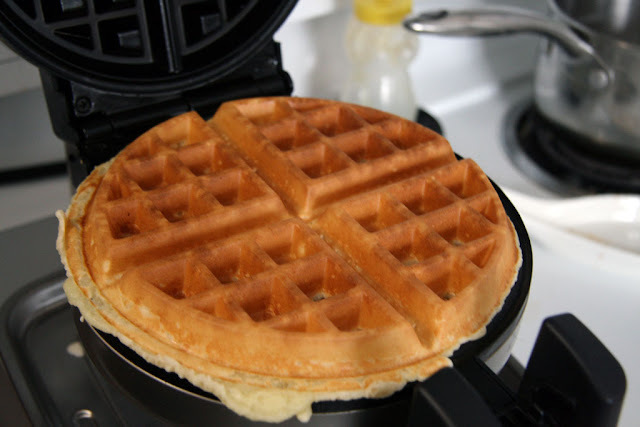 In terms of taste, there was just subtle differences in taste. In fact both taste very similar. 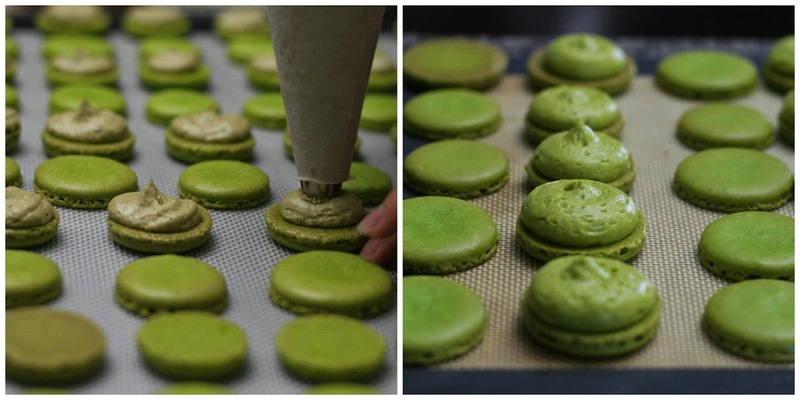 As you bite into the macaron, you get a gentle mouthfeel of green tea (matcha) flavour along with the characteristic known to a macaron. However, the buttercream made from KissMe Organic's matcha had a hint more of a chalky taste especially when comparing both macarons at the same time. I also brought a tray of the macarons made from the KissMe Organic matcha to a foodie function, and shared them with friends and family. No one seemed to notice anything significant about the taste and texture of the macarons; in fact, they loved the intense green tea flavour that you got with each bite.